Video processing especially 4K and GoPro videos become exceptionally difficult because of various issues like compatibility, format, your system freezing or the video quality gets distorted after the post-processing. These issues plague many of the editors and GoPro or Drone owners who are trying to process their videos. 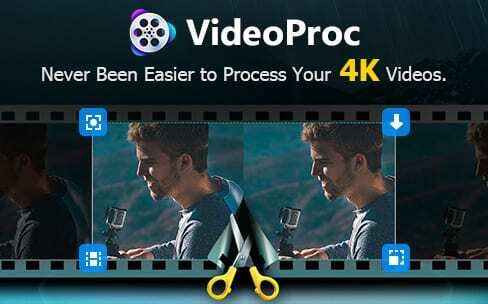 With VideoProc, you can handle your 4K videos of any format from any device without any loss of quality and at an excellent processing speed. If you are an owner of a GoPro, Drone, a 4K supporting iPhone or a high-end camera like DJI then you will need a software that can process their videos but software like Sony Vegas Pro, Adobe Premiere Pro, and Final Cut X. All require some level of skill and understanding of the software, and this software are naturally memory to consume. So the chances of your computer freezing are high if it doesn’t have the necessary specs and free memory. VideoProc isn’t a replacement for, but instead, VideoProc guarantees efficient post-processing and many essential editing tools to let the user make massive changes or convert it into suitable formats for their other devices. VideoProc, as the name suggests, is a combination of the words Video and Processing. Video Processing involves the manipulation of videos in various ways such as encoding/decoding, compressing, editing, adjusting video footage, etc. VideoProc is software that encompasses all these features and lets its users take advantage of them without any compromises. Edit your 4K videos with the collection of tools available in VideoProc that lets you cut, crop, merge, split, rotate, subtitle, stabilize, denoise, add effects, remove fisheye, mask, etc. Easily edit GoPro videos with the VideoProc software. You can resize 4K videos to lower sizes without having to worry about quality loss and data loss. Now you can store your videos on your other devices with much less capacity. You can configure many parts of the videos like resolution, bit rate, frame rate, video/audio codec, sample rate and more. Now you can convert your GoPro videos to your desired formats for different devices and uses. VideoProc supports an array of formats like HEVC, h264, MKV, MP4, AVI, MOV and more. Unlike many other editing software, VideoProc does not compromise on processing speed for a heavy load of features. So you can transform your 4K videos at the fastest rate. The software can achieve such feats because of its Level 3 Hardware Acceleration fully powered by Intel, AMD, and Nvidia that utilizes the full power of the GPU and accelerates it. Most computers use the CPU and its processing powers to get the task done. But the CPU is unable to generate as much power when it comes to handling multiple and larger workloads, and even if it can, the CPU performs the task at much slower rates. The GPU, on the other hand, is capable of handling such duties at faster speeds. Unlike the CPU, GPUs don’t have to also carry operations like arithmetic and control which the CPU is designed to handle. Check more info about how VideoProc’s Full GPU Acceleration Influences 4K Video Processing. With the feature mentioned above of full GPU acceleration and using it to process these videos, the CPU has less load to work. So doesn’t generate as much heat and reduces the burden on the computer. This is especially true for 4K videos and that too from devices like GoPro which has a different format like the HEVC which has to be converted upon processing. By solving heating troubles and splitting the task your computer consumes less power for the processing of the video. This is much similar to how a high-rise elevator works since by climbing the floors you lose a lot of energy. But a high-rise elevator which for less energy consumption but more efficient results. The VideoProc software provides its users with features besides 4K video processing and editing. The software also has functions like DVD conversion, downloading videos, recording your screen, etc. These functions also are top-notch regarding speed and retaining of quality. So, there is no question of reliability when it comes to these features. The VideoProc converter has more than 420 output formats, 370 input codecs, a 4K converter that allows for high-quality transcoding. The converter enables great videos to be compressed without any loss in actual quality but instead only some pixel level quality differences (which you will not notice at all). Now you can record your gameplay at 60/120 FPS with no loss in quality and even record your screens for live commentary or your Twitch stream without worrying about software related audio issues, delay and rendering problems. Now you can download videos from online streaming sites like YouTube, Vimeo, and DailyMotion without having to search for different methods. Every possible video and audio streaming sites are available in this video downloader. The software allows for the downloading of different resolutions, formats, and quality. 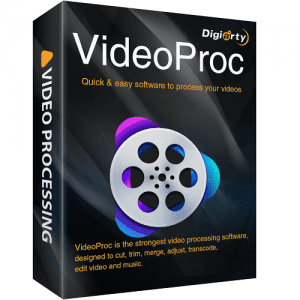 If you’ve been searching for an all-in-one video processing software but you are unfamiliar with high-level editing software (like the Vegas Pro and Premiere Pro). Then you need to take advantage of the VideoProc software. 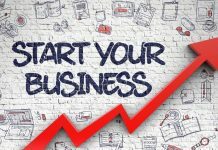 You will be able to make use of the software in more than one way as it provides with many other features that you will come to be in need of. 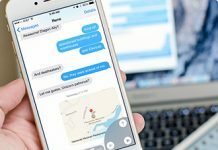 Luckily for you, Digiarty Software is giving away a 15-day trial license key for its campaign participants and a chance to win a GoPro yourself. 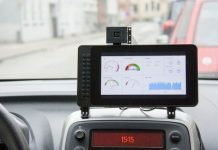 So, if you’re interested in the software and maybe you could do good with a GoPro with you. I suggest you to visit VideoProc new release celebration page and participate in their campaign. You better hurry as it doesn’t seem like this campaign is not going to last too long. Maybe you are the lucky one who wins the GoPro prize that they are giving away.